We are passionate and creative award winning multi-media directors, producers and writers with an expertise in making content that promotes gender and LGBTQ equality. We work with others to improve the narrative of people in the world. Our feature documentary, TransMilitary, by Director Gabriel Silverman (SideXSide Studios), Co-Director Fiona Dawson (Free Lion Productions), and Producer Jamie Coughlin (SideXSide Studios) premiered at South by Southwest (SXSW) 2018 and won the Feature Documentary Audience Award. Following a string of festival awards, the film made its TV debut on Logo on November 15th, 2018 and will be available to stream on a variety of platforms in 2019. 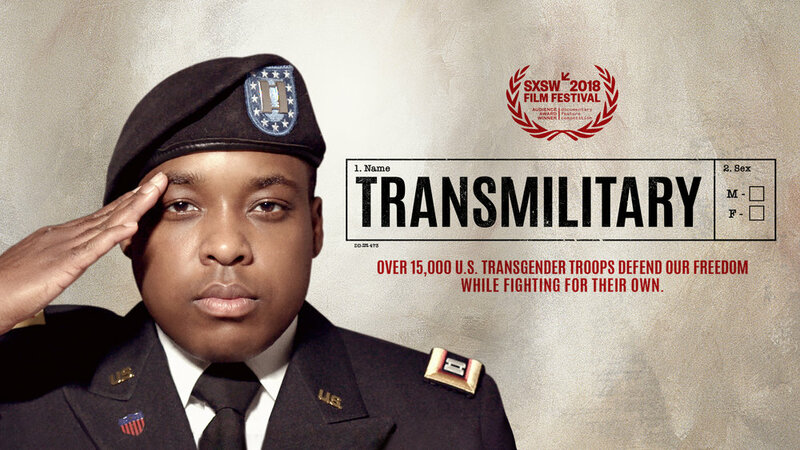 Commissioned by The New York Times and directed by TransMilitary creator Fiona Dawson in partnership with Gabriel Silverman & Jamie Coughlin of SideXSide Studios, the Emmy® nominated short film Transgender, at War and in Love was released June 4, 2015 as part of The Times' editorial series Transgender Today. As Malcolm Rene Ribot drives along I-90, he briefly looks down to smile at his Catahoula Leopard Dog, Grayson, who has his snout resting on Ribot's thigh. It's partly because of Grayson that Ribot's 2011 Nissan Versa has more than 120,000 miles on the odometer, 50,000 of which were added in the past 16 months. Two weeks after Secretary of Defense Ashton Carter announced transgender individuals can openly serve in the U.S. military, Army Captain Jennifer Peace, who enlisted in 2005 and has completed two combat deployments, was doing pull-ups in the gym. Peace had just completed 60 repetitions and was about to move on to cardio when she overheard the word "transgender" from a group of soldiers whom she had never seen before. Her ears immediately perked up. "They can join the Army now," said one. "That's f***ing weird," said another. Based in Brooklyn, NY. Will travel anywhere.